A native of Brainerd, she received an undergraduate degree in music from St. Cloud University, a master's degree from the Manhattan School of Music, and spent two years as a member of the Juilliard Opera Center. She is also the recipient of the SCSU Outstanding Alumni Award. 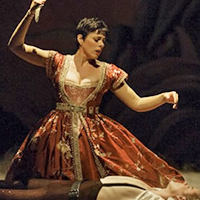 She made her San Francisco Opera debut in the summer of 1996 as Musetta in La Bohème, subsequently appearing with the Company during the 1996-97 season in Die Fledermaus (Adele), the West Coast premiere of Harvey Milk, and Salome. She has also performed here in Madama Butterfly (1997); Death in Venice and Le Nozze di Figaro (1997-98); the 1998 Femmes Fatales staging of L'Incoronazione di Poppea (Damigella); A Streetcar Named Desire (one performance as Stella), Manon, Peter Grimes and Betrothal in a Monastery (1998-99); as well as in Louise (1999). She was also recently praised for her performances of Nannetta in Falstaff with Utah Opera, as well as for Despina in Così fan tutte, Susanna in Le Nozze di Figaro, Musetta in La Bohème and Zerlina in Don Giovanni with Festival Opera of Walnut Creek. Winner of a prestigious scholarship grant from The Liberace Foundation, Kriha Dye was a participant in the 1993 Merola Opera Program who sang the role of Nannetta and her first Fledermaus Adele. St. 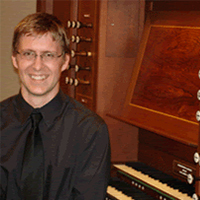 Cloud State University alumnus Joseph Ripka, who earned his bachelor's in piano and organ in 2004, was awarded first prize at the Dublin (Ireland) International Organ Competition. The prestigious competition, which began with 16 quarter-finalists selected from recorded auditions of applicants from around the world, involved a week-long series of competitive rounds that narrowed the field of 16 quarter-finalists to eight semi-finalists, then three finalists. At St. Cloud State Ripka studied organ with Professor Emeritus Charles Echols and piano with Professor Carmen Wilhite. He taught piano for a year at Saint John's University, Collegeville, and was church organist at St. John's Episcopal and Salem Lutheran Church, St. Cloud. He is studied organ with Professor James David Christie at the Oberlin Conservatory of Music in Oberlin, Ohio. 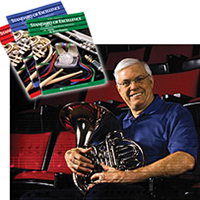 Regarded by many as the single most important publication for beginning band instruction, his "Standard of Excellence Comprehensive Band Method" is on music stands all over the world and is now published in English, Chinese, Spanish and Italian. Following graduation from SCSU in 1964, Pearson spent more than 30 years in elementary, secondary and college classrooms. His work has earned him such prestigious awards as the Midwest International Band and Orchestra Directors Clinic Medal of Honor and the 2001 SCSU Distinguished Service to Music Award. Pearson gave the 2008 Commencement Address and was featured in a St. Cloud State Outlook Magazine article "Hitting a High Note". Troy Rogers is an emerging artist whose output includes music for soloists, chamber ensembles, orchestra, dance, theater, digital media and homemade music robots. After receiving his Bachelor of Arts in Music from St. Cloud State University in 2001, Troy moved to the University of Oregon where he received a Master of Music in Intermedia Music Technology in 2005. 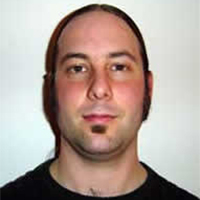 While completing his master's degree, he spent time as a composer/researcher at Simon Fraser University's Sonic Research Studio exploring acoustic ecology and soundscape composition. More recently, at the University of Oregon, Department of Computer and Information Sciences' Cognitive Modeling and Eye Tracking Laboratory, he collaborated with researchers Anthony Hornof and Tim Halverson to create an audio/visual piece controlled by eye movements. He is currently a Ph.D. candidate at the University of Virginia, pursuing a degree in Composition and Computing Technologies at the Virginia Center for Computer Music. In the Spring of 2006 he returned to St. Cloud State University as the keynote speaker for the Student Research Colloquium.